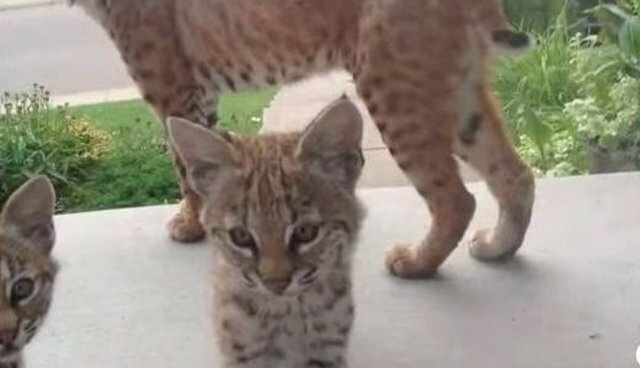 A mother bobcat and her kittens have been spotted wandering through a Calgary, Alberta, neighborhood all summer - and apparently the little family is getting really bold. Local resident Katherine Reiffenstein was shocked to see the four cats standing right on her doorstep last week, casually peering in through the glass door. 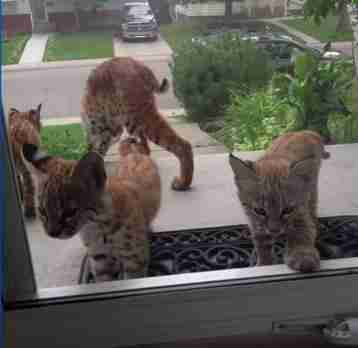 While the bobcat family is admittedly adorable, their proximity has some residents concerned. But Alberta Fish and Wildlife officials say there's no need to be worried, the mama and her kittens are just looking for food and water. Bobcats are often hunted and trapped for their fur, and they face habitat loss thanks to us humans. 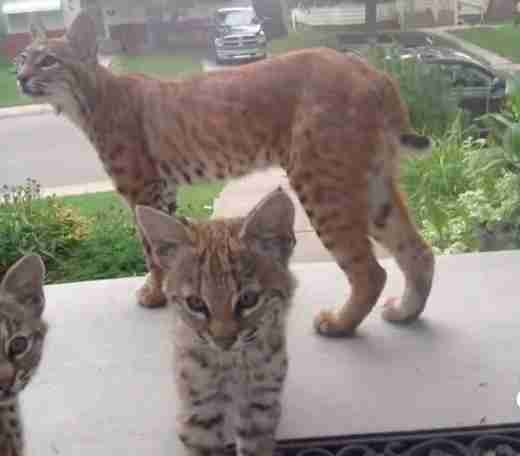 These bobcats who showed up at a front door may just be confused as to why there are so many humans and houses on the land that used to be theirs. Click here for more information about how to help protect wild bobcats.